Camping de Coupiac "Le Mas Naut"
If you wish to spend some relaxing holidays on the shore of the lake “Mas Naut”, I will be pleased to welcome you in a haven of peace to enjoy nature's tranquility, recharge your batteries and hear the bubbling stream running close by. 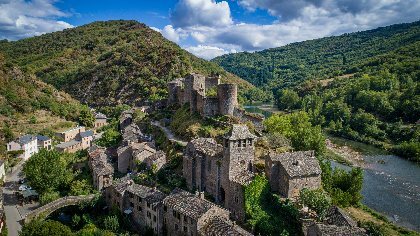 Coupiac is a small village situated in Aveyron with a beautiful mediaeval castle to explore during the many shows and activities scheduled throughout the summer season. The area is a heavenly destination for hikers or white water fishing enthusiasts. 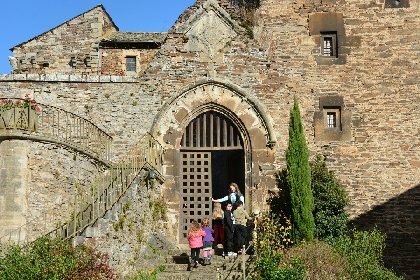 This natural and preserved setting is situated in the heart of roads that lead to the discovery of medieval castles, so whether you like cycling, walking, riding, camping or whatever, all you need to do is come and enjoy this small corner of paradise. Pedalo, bike and canoe rental facilities on the site. Table football game and playground available. Enjoy some regional delicacies at the restaurant and snack. 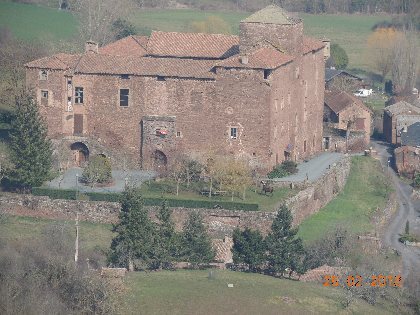 15th century château of imposing architecture. One of the last of the château of the Counts of Rodez still intact today.